The end of great TV or just the summer doldrums? If you’re like me, you’ve noticed that there is not a lot to be excited about in the network’s summer lineups. Your favorite shows are on hiatus or, worse yet, cancelled. The cancellation of “Party Down” on the Starz network is a particularly egregious travesty that recently happened in the television world. Shows such as AMC’s “Breaking Bad” are not returning until 2011. So what are we left with? A never-ending cavalcade of mindless reality shows all lurching their way toward a new bottom. VH1 may have taken the hardest fall in the reality show wars. While VH1 used to host such beautifully trashy hits as “The White Rapper Show,” “Rock of Love” and “Flavor of Love,” now it has spiraled down to derivative shows such as “The T.O. Show” and Chad Ochocinco’s “The Perfect Catch”. As fun as it is watching gold digging skanks compete for the love of millionaire athletes, it can sometimes leave my entertainment needs unfulfilled. Perhaps for VH1’s next season, Randy Moss or Roy Williams can have contestants run wind sprints to earn a date with the star receivers then and sideline tickets. I’m thinking Tila Tequila, Vienna, or a housewife of New Jersey would be perfect for this show. 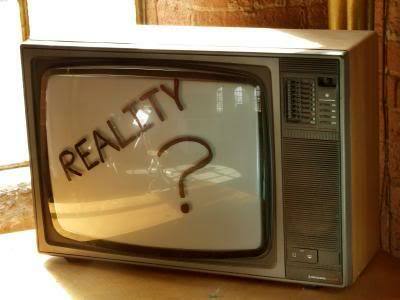 The truth is, reality shows are cheaper to produce and good writers are not cheap. But as we can see from the parade of excrement that passes for TV these days, they are all too necessary.